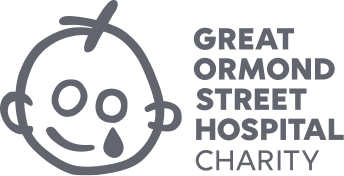 Rosewood London’s annual Christmas campaign in support of Great Ormond Street Hospital Children’s Charity returns to London for the month of December. This year’s Rosewood Mini Wishes will raise awareness for the children’s charity that funds advanced equipment, pioneering research, and the refurbishment of vital medical facilities. Rosewood Mini Wishes 2018 will once again see Rosewood London donating £1 from all bills with festive elements directly to GOSH Charity for the entire month of December. Looking for the perfect stocking filler or something more experiential? Whether it is something small or extravagant, all proceeds made will go to Great Ormond Street Hospital Children’s Charity. The ultimate Christmas gift inspired by Pearl, the mascot Golden Retriever. For every limited edition Pearl sold, £15 will be donated to GOSH. Limited edition Pearl now on sale. Submit your wish to automatically be entered into a competition to have your Christmas Wish granted by Rosewood London. All you need to do is enter your details and make a small £1.00 donation for a chance to win! Explore our Mini Wishes festive campaign by visiting our gallery below. You can also share your own experience on social media with #rosewoodminiwishes and you could feature in our exclusive gallery. Sign up to keep up to date with all things Mini Wishes. © 2019 Rosewood Hotels and Resorts, LLC. All rights reserved.